Many of us dream about getting away from it all and channeling our inner Tom and Barbara as we embark on the Good Life. And that’s exactly what husband and wife team Deborah and Neil Flint did back in 2011. Never could they have imagined how a series of accidental turns in their journey would have led them to where they are today. 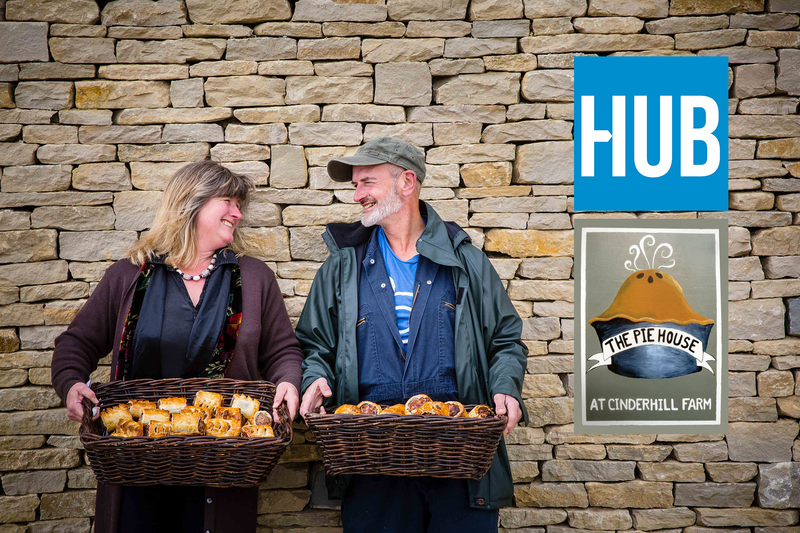 Deborah Flint, Co-owner of Cinderhill Farm talks to us about her business and her – what Jay Rayner called in an Observer Food article – ‘Bloody Good’ sausage rolls! So tell me, where did your story start? When our children left home, my husband Neil and I decided that this was the time to follow our dream, to move to the countryside to set up a smallholding with a view to self-sufficient living. Having spent our careers working in the development and software sectors we were excited about this new home-based adventure. So, in 2011 we packed up and moved from our Oxfordshire home to the Forest of Dean where we purchased had Cinderhill Farm, high above the River Wye, and our new life began. All started well, until some 18 months in when reality started to bite as we realized that there was more to the self-sufficiency project than was first imagined. Our cash reserves were dwindling, but costs were rising almost as steeply as the 1:2 incline of part of our land! It was in looking at the 23 full grown pigs, and then at our single domestic freezer, that the penny dropped! With limited cash, and therefore no ability to invest in new equipment, we took a single pig to be slaughtered. We ended up with lots of sausage meat, but with insufficient money to make anything other than the thinnest of pastry to process it with. But in effect we accidentally created the perfect sausage roll – 95% meat and just the right amount of pastry casing to still be able to call it such. By this time - early 2013 - I then took our first batch of 30 sausage rolls to Coleford Country Market; a fantastic venture, incidentally, that deserves great praise for the work they do for developing local SMEs countrywide. At the market I sold just one sausage roll that first week, but undeterred I took my wares door to door around St Briavels and managed to sell them all. People asked me to come back next week and that’s how the business was borne. It grew rapidly as our reputation grew for quality and quantity, and soon outgrew our farmhouse kitchen. And what about finance? One of the biggest challenges growing businesses can face? We approached our bank, but with no history of borrowing and no income for the last few years, they weren’t keen to help us do up an outbuilding on our farm. Our friends and family lent us 50% of what we needed, interest free. We then went back to the bank and invited them to put on their wellies and come take a look. Which they did. They came and tasted the sausage rolls and then they said ‘Yes’! So we were able to invest and re-open after a couple of months with a fit for purpose commercial kitchen. Our local EHO was hugely helpful and supportive as we went through the design and build process, saving us money as well as ensuring we met food production standards. How did you then get your first big break in retail? Because of my geography background I’m one of those people that likes to read planning applications and I came across the application for the Gloucester Services project. I immediately wrote to the sister operation in Tebay introducing Cinderhill Farm. We were invited along to a Meet the Buyer’s day at the Royal Agricultural University in Cirencester and from it became one of their suppliers. They initially estimated an annual retail turnover for us, which we went on to hit within 3 months! We’re honoured now to be told we are one of their top selling lines, with a wide variety of ranges in both Gloucester Services and Tebay Sevices – from sausage rolls and foggies to new, wheat free bites. At this point, with the business expanding, we realized that we were lacking in the business acumen that we needed to take the business onto the next stage. Looking back now, we realized that we had made some basic business mistakes and we weren’t being as business savvy as we could have been. It seems a pattern starts to form when again, we came across the Growth Hub by accident. My daughter showed me an advert for voluntary post at a development charity, and through my investigations into that I learnt about the opportunities that the Growth Hub could provide. First I met with Tina Paton, one of the Business Navigators, who having taken the time to listen to my needs and understand my business, connected me with Peter Brown, Growth Hub Business Guide. Peter has been absolutely invaluable to us and to the business, drawing on his extensive experience of manufacturing and production he has helped us become an altogether more confident business. He worked with us initially to help define a strategy and set goals, driving us towards greater profitability. And beyond this he has connected us with other Gloucestershire specialists for other areas of support, from GOAL who have helped to arrange apprenticeships for all but one of our staff to SWMAS who are advising us on manufacture and DiT for export. From his very first meeting, where we made Peter get his wellies on and make sausage roll with us, we knew that Peter cared about our business and we can trust him to give us the best advice and steer us in the right direction. What is it that still keeps you so hands on? We never planned to be here. But now that we are, we feel incredibly fortunate to have created this business which makes delicious products that our customers enjoy. We have a huge amount of pride in the positive difference we are making to the lives of people in our community and we want to make sure that we are giving back. 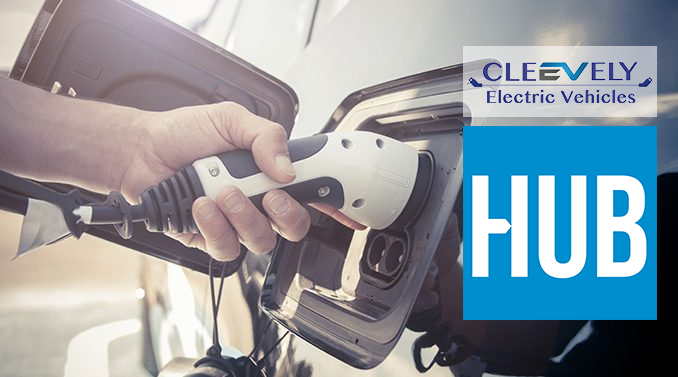 Employing a team of 8 we want the business to succeed for them too, so that their hard work and loyalty can be rewarded through a fulfilling job, good prospects and development. We never want to lose the soul of our business and our involvement is therefore key. Our products are home-made; home-baked using traditional skills, and made using as much of our own and local produce as possible, and we want to hold onto this wherever we can. Like all businesses, we need to keep an eye on what the market is doing. Emerging trends in consumer behavior, healthy lifestyles, economic uncertainty that can stop people from picking up a quality product – all of these affect us and we need to be mindful and ready to shift with the trends. We will continue to develop ways to reinforce our sustainable credentials. From reducing our waste both in production and packaging, to the raw ingredients and materials that we use; every aspect of our business is continually assessed and reviewed. I have my eye firmly focused on export and opportunities abroad, especially over the next 12 to 18 months. If as a country we can import chickens from China, I’m sure I can get my sausage rolls exported overseas! Our next growth stage is approaching faster than we had anticipated and we realise that alone, Neil and I can’t take it to its ultimate potential by ourselves. So we’ll look at bringing in expertise and new premises as and when the time is right. We are happy to grow the business, but not at the expense of its heart! And finally, what’s the advice you would give to other businesses looking to grow? The first pearl of wisdom is to ‘hold the reigns lightly’. This has proved invaluable to me as a guiding mantra and has stood us well through challenging times, when we have had to adjust our business model, rethink our plans and react quickly to external forces that are beyond our control. With any business flexibility and agility is key. But in the case of a new business, where there is an element of learning on the job, the options that this approach provides have been life-saving at times. The second piece that I came across in my former life as a fundraiser for development work, written on the side of a passing rickshaw tuktuk filled with good smells: ‘Cook Food - Serve Love’. This really resonates with me and reinforces the reason that we get out of bed every day and pour our efforts and energies into the business. It’s about more than producing a great product. We’re about providing an outstanding experience; for our customers, our retailers, our animals, our employees and our local community, and above all doing this because we still believe in it. We’re fully invested – financially and emotionally. And we want this to shine out through our brand and reputation.